Salesforce.com has updated the Journey Builder feature of its ExactTarget Marketing Cloud product. The updates are designed to enable automated and enhanced customer interactions for Salesforce1 and Salesforce Marketing Cloud customers. At an event at Salesforce's headquarters in San Francisco, Salesforce unveiled new additions to Journey Builder, including maps that enable brands to plan customer interactions across channels in advance; triggers that enable brands to respond in real time to customer changes, such as abandoned carts and affinity changes; and metrics that allow brands to test and optimize customer interactions. ExactTarget Marketing Cloud customers include Microsoft, Sony Playstation and SkyMall. Journey Builder is generally available, with pricing starting at $5000 (around £2958, AU$5367). To demonstrate Journey Builder's new features, Salesforce used a hypothetical Fitbit customer interaction to detail how Journey Builder can automatically interact with customers. The demonstration included a Fitbit product activation interaction that automatically welcomed new customers to Fitbit. The Journey Builder notification also offered the hypothetical customer a congratulations notification when he/she took 5000 steps. Salesforce also demonstrated a maintenance reminder for the hypothetical consumer to recharging the Fitbit battery. ExactTarget provides marketing automation technology that is designed to enable brands to deliver email, mobile and social campaigns. The company also provides web and data analytics services to brands looking to gather insights from online interactions with customers. Salesforce has been leading the charge for wearable technology CRM. Last month, Salesforce launched the Wear Developer Pack, a tool designed for businesses looking to connect with customers and customer data via wearable devices. The Salesforce Wear Developer Pack allows businesses to create applications on wearable devices such as Fitbit, Google Glass and Samsung Gear 2, among others. By combining the Marketing Cloud, the Wear Developer Pack and Salesforce1, Salesforce can help organizations leverage customer data to enhance service, improve marketing and boost sales. Salesforce's Salesforce1 tool, which the company launched in November of last year, includes the ExactTarget Marketing Cloud. Salesforce1 enables developers, independent software vendors (ISVs), end users, admins and customers to build mobile apps in the cloud. "Everything is connected. We'll have 75 billion connected devices in the coming years," said Salesforce CMO Lynn Vojvodich at a media event at Salesforce's San Francisco headquarters. "I am connected today with my Samsung Gear Fit. Every single thing we're doing today is getting connected. Behind all these [connections] is the customer. This is much more powerful than an Internet of Things. This is an Internet of Customers...The cloud makes this all possible." 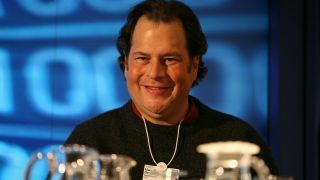 Salesforce acquired ExactTarget for $2.5 billion (around £1.5 billion, AU$2.7) in June of last year. It is the company's largest acquisition. Salesforce isn't the only technology vendor looking to integrate sales and marketing clouds. Earlier this year, IBM acquired Silverpop for its marketing automation and real-time personalization expertise. Oracle acquired Eloqua in 2012 in order to create an "offering to help companies transform the way they market, sell, support and serve their customers," both companies said at the time. It also acquired Responsys to enable better social interaction analysis for brands. To bolster Salesforce 1, Salesforce launched the Salesforce1 mobile app, which gave Salesforce1 users direct access to reports, dashboards and accounts on the go. Salesforce added mobile reporting to Salesforce1 to gave developers access to real-time performance data on mobile devices, and it launched Sales Reach, which is designed to provide sales reps with the ability to send one-to-one marketing campaigns. Earlier this year, Salesforce.com agreed to acquire CRM startup RelateIQ for $390 million (around £228 million, AU$415 million). RelateIQ pulls data from customer interactions to provide sales teams with useful selling information. Salesforce saw revenue increase 37% year-on-year to $1.23 billion for the quarter ending April 30. This was partially driven by higher demand for its cloud-based sales and marketing solutions, like ExactTarget.